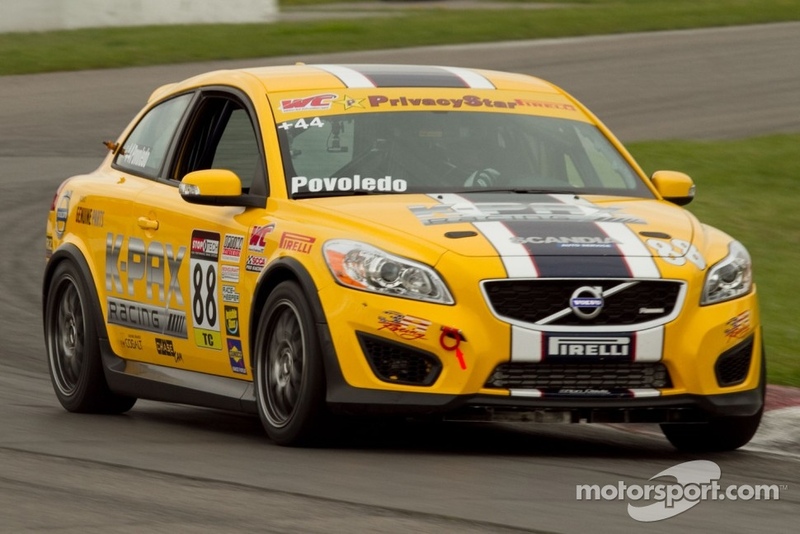 Hi there, I just wanted to say hello and introduce myself - I'm Aaron Povoledo and I drive the # 88 K-PAX Racing, Volvo C 30 in World Challenge. It is my first year in WC and it is by far one of the most interesting series I've run in - especially the variety of cars. I'm looking forward to getting to know the GRM community and reading about what other racers and enthusiasts are talking about. Hi Aaron. Thanks for stopping by. Hey Aaron, is Randy still driving for K-PAX? Hey Aaron sweet looking ride I love volvo race cars. Welcome to the forums Aaron, I'm sure you'll find them quite interesting! Also, world challenge is the best series going. Welcome! Very cool to have a professional driver among us. It's a great community, now even better. WC rocks. Glad to have you here on the forum Aaron. Good to have you here. Maybe you can learn me something new today. I am glad to see the C30 out there racing. At the launch of the C30, I always figured that a Mini Cooper shopper would cross-shop a C30. Volvo dropped the ball by not having a motorsports image for the C30. I think this will always be the thing that held back the C30 from it's real potential. hehe I made a Kpax Volvo c30 in Forza 3 as well. Mines not quite as nice as that one. Welcome Aaron, I watched your win at Mid-Ohio from the Keyhole the other weekend, and what an incredible race all around. Thanks David - good to be here! He sure is! He had horrible luck in the first 1/2 of season but took a podium a week ago at Mid O. Thank you - looking forward to seeing whats up. I knew you'd like this neighborhood, Aaron. Thanks for coming by. Also, that was a pretty fantastic job you did at Mid-Ohio. Nice spot of driving, there- I hope you saved some mojo for Sonoma and Laguna Seca! Hi Tom - I finally got on!! Fear not - we got the mojo on full blast for the rest of the season, and were going to need it - my marching orders are to now win ALL of the remaining races from pole.... No pressure! You coming to Infineon or Laguna? LOVE IT! 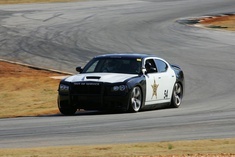 It's going well thanks, on my way to NJMP to do some coaching in a Mini...and an F430 challenge car - go figure!